Not long after someone dies in Ethiopia, the edir—friend, relative, or neighbor—takes to the streets to blow a horn and call out the deceased’s name. Thus begins the process of mourning. After this announcement, the edir pitches a tent in front of the bereaved’s home. Over the next three days, mourners congregate in the tent and grieve. By the seventh day, public grieving has largely subsided. More urgency still has passed by the fortieth and eightieth days, by the seventh year. Dagmawi Woubshet opens The Calendar of Loss with a lyrical description of this practice, according to which the temporality of the living attunes itself to the claim of the dead. It’s a fitting introduction, as The Calendar casts Woubshet himself as no less edir than scholar. His particular charge is the AIDS dead from the “early years” of the epidemic—1981 to 1996, when highly active antiretroviral treatment became widely available. It was in 1996 that AIDS, according to certain political constituencies, was rendered nonlethal; according to others, it was even cured. The ambition of The Calendar, though, exceeds mourning the AIDS dead in either the form of a memoir or uncritical memorialization. To be sure, there exists a prolific tradition of just this kind of memoirish text, epitomized by writers like Sarah Schulman. Woubshet looks instead to efforts made by AIDS mourners to simultaneously grieve their dead, process the historical contingency of these deaths, and reckon with the probability that their own deaths were on the horizon. As such, these works are “steeped in a ‘poetics of compounding loss’” (3). This idiosyncratic form of mourning not only registers a novel structure of feeling, but, in “confound[ing] and travers[ing] the limits of mourning” renders extant literary and cultural elegaic genres inadequate (3). 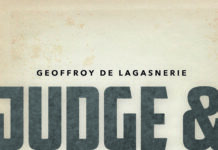 Evincing his interdisciplinary sensibility, Woubshet trains his analysis on genres running to obituaries, funerals, graffiti art, photography, film, epistolaries, choreography, installations, and of course, the poetic elegy itself. The resulting critical work is a dialogue at the intersection of trauma studies, psychoanalysis, queer theory, and African Diaspora studies. Woubshet organizes the book’s chapters according to the various ways that queer loss was reinserted into a public discourse that had attempted first to conceal it, and then to efface its embodied specificities. To take only one of his most powerful examples, Woubshet addresses how in its traditional form the obituary had functioned as a disciplinary genre of (hetero-) reproductive futurism. In its foregrounding of birth-family kinship networks, the obituary not only omitted mention of gay partners, but reified the futurism (those, especially, children, who live on) that sublimates and mediates such reproductivism. Moreover, these pieces never mentioned AIDS, coyly alluding instead to a “long disease” the deceased had suffered, thereby interring the dead in one last closet. In response to the mainstream news outlets running these posthumously disciplinary remembrances, gay newspapers “arrogated to themselves the authority of the obituary,” emphasizing the cause of death and the queer networks left in the wake of the decedent’s passing, thus both constituting queer counterpublics and protecting the “rights of the queer dead from the normative rites of the living” (59, 61, 67, 84). Woubshet’s ability to demonstrate how works of mourning exhumed the queer body interdicted from the scene of public grief is equally salient in his poetic analysis, centering on figures like Melvin Dixon and Paul Monette and informed by poetry and elegy scholars ranging from Peter Sacks to Max Cavitch to Jonathan Culler. He hastens to remind us that the explicitly fatal homophobia of the 1980s and ’90s has simply been sanitized into the gay liberalism of the present. In its triumphalist projection of gay normalcy and citizenship, gay liberalism (akin to what Jasbir Puar calls homonationalism) demands the erasure of AIDS, of the embodied queer past. “[B]y looking for the dead now, therefore,” The Calendar of Loss “challenge[s] gay liberalism’s present undertaking” (23). In its recuperation of a form of grief that is indeterminate and inconsolable, The Calendar of Loss is also a referendum on the approach to loss and trauma offered by Freudian psychoanalysis, which sets forth a pat binary between normative grief (mourning) and pathological grief (melancholia). Where the mourner eventually replaces his lost object, the melancholic cannot, and languishes. Amid the exigencies of AIDS, however, this binary falls short insofar as it fails to apprehend the fact that for these mourners, death is not a “singular” event, but part of an ever-expanding series of deaths, including—most likely—the mourner’s own (5). The melancholic grief of queer communities constituted by AIDS are certainly not “normal” according to Freud, but neither are they pathological, inasmuch as they “achieve cathexis in mourning itself and in its art and activism. However, […] as newly cathected objects, [these] cannot displace loss; on the contrary, they place loss center stage” (18). In worrying the normal/pathological binary, Woubshet delivers a theoretical instrument to those employing psychoanalysis, and a bracing intervention to a queer theory whose conceptualizations of trauma have unproblematically embraced this conspicuously unqueer binarism for too long. Drawing on work by Howard Thurman, Woubshet observes that this non-pathological melancholy finds clear historical expression in the genre of slave songs and black spirituals. In the spirituals as well as in black life generally, “[d]eath and dying are not just ‘unusual, untoward events’ or ‘inevitably end-of-lifespan events,’ but instead punctuate [it] routinely and proleptically” (19). This constant anticipation of loss is central to the conceptions of social death elaborated by scholars such as Orlando Patterson. Thus, the paradigm of black mourning (as in the slave songs) and black life generally, “accommodates” and illuminates early AIDS mourning, particularly in its “insistence that death is ever present, that death is somehow always impending, and that survivors can confront all this death in the face of shame and stigma in eloquent ways that also often imply a fierce political sensibility and a longing for justice” (5). This comparative work confirms The Calendar Of Loss as the first monograph in the humanities at the intersection of queer theory and African Diaspora studies and allows it to spark a true theoretical commerce between those fields (26). Already in this book, in fact, interdisciplinarity has sensitized Woubshet to a liability of queer theory over and above its internalization of Freud’s pathologization of melancholy. I’m speaking here of queer theory’s characterization of the child derived heavily from Lee Edelman’s pathbreaking No Future: Queer Theory and the Death Drive (2004). In this latter account, the figure of the child is not only opposed to the queer subject, but is deployed—insofar as it represents the claims of futurity—to discipline and defer queer pleasure, which represents by contrast not only the present at the expense of the future, but also the very foreclosure of the future itself. In his final chapter, Woubshet details the Sudden Flowers collective, which provides the resources for Ethiopian orphans whose parents were lost to AIDS to create works of art and performances that help mediate their grief. Many of these orphans choose to write letters to their deceased parents in which they chronicle the stages and practices of their mourning, and the sensation of the absence, the lost object(s), they have not (yet) filled or replaced. These children “rely not on idealized figures of innocence and purity to characterize their own experiences, but instead on queer figures of abjection, disparagement, and fearlessness,” thereby “thwart[ing] the naturalized figure of the child as the very embodiment of futurity” (140). The experiences of these children, then, are a living rebuke to the cleanliness of queer theory’s characterization of the child. But Woubshet doesn’t simply gesture to the children of Sudden Flowers to append an asterisk to the queer theory’s anti-natalism, to correctively bolster its critical acumen (though he certainly does accomplish this). While joining Edelman in the latter’s critique of hegemonic natalism, he breaks away in aiming to indicate what we might well call the white privilege of queer theory—the complacency of the latter’s archive, its evident disinterest in the particularities of life in the submerged global south in favor of an aestheticized lumping-together of African people with AIDS under the signifier of unalterable tragedy. But more witheringly still, The Calendar of Loss reveals the extent to which queer theory becomes a vested defender, an unwitting academic strategist, in the process of universalizing whiteness. Drawing on Robin Bernstein’s Racial Innocence, Woubshet recounts how, unlike the image of the white child that gelled (under the auspices of nineteenth-century Romanticism) to figure innocence, purity, and futurity, the black child discursively produced simultaneously (most canonically in the pickaninny) evoked repulsion, abjection, and social death (142). “Emptied of innocence and futurity,” he speculates, “the black child […] cannot be a marker against which queerness can be negatively defined” (142). Hidden behind the tact of Woubshet’s account is the indictment that positions like Edelman’s not only prefer the white child for its compatibility with a given theoretical imperative, but perpetuate a universalization according to which the white child, unburdened by racial marking, becomes the child as such, which iterates in turn the social death (in its rhetorical concealment) of the black child. This revelation represents just one of the fruits of Woubshet’s inflection of queer theory by the itinerary of African Diaspora studies. While we might fairly critique Woubshet’s failure to address the role of NGOs (like those that care for Ethiopian Orphans) as the “mendicant orders” (cf. Hardt and Negri) of the very same biopolitical governmentality that allowed AIDS to become a pandemic in the first place, this oversight seems the exception rather than the rule. The Calendar’s more concerning oversight is instead its unintentional reification of vitalist, optimistic, and citizenship-oriented rubrics of affect in its moments of “recuperation.” Consider for example Woubshet’s description of the children in the Sudden Flowers art collective who become “political figure[s], publicly taking on one of the most urgent issues of our time, [while simultaneously] departing from the norm” (144). These children are revealed in turn as “powerful agents, as subjects capable of reflection on and articulation of their experiences” (140). Here these children become deserving of praise insofar as they embrace an active, vigorous relationship with their circumstances. Elsewhere Woubshet will attribute the same valorizing characteristics to the gay American subject of his book too. AIDS mourners “across the Atlantic […] embodied AIDS openly and fearlessly” (5). Here “openly and fearlessly” carries the same sense of vigor and interactivity he attributed to the “powerful,” “agent[ial]” children of Ethiopia. Not only do these forms of affect coincide neatly with the behavioral strictures demanded by a late liberalism that exercises itself in intellectual and emotional economies, but they also threaten to undo the depathologization of melancholy executed above. 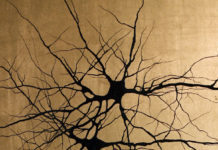 That is to say, where Woubshet had previously claimed to find melancholy non-pathological insofar as it generates a new cathexis (attention to compounding loss), here he seems to smuggle in—through “articulation of […] experiences”—the kind of object-replacement or work-completion characteristic of normative mourning. Indeed, he says so himself in expressing his desire to show that nonnormative mourning “can be ‘productive rather than pathological, abundant rather than lacking, social rather than solipsistic, militant rather than reactionary’” (22). Here Woubshet no longer desires simply a neutral opposition to the pathological (that is, the nonnormative), but—in the term “productive”—casts his lot in with a term derived from the cathectic economy of capital. In turn “social” evokes liberal citizenship and pluralism, while “militant” continues in the valorization of vigorous and positive affect suggested earlier by “powerful,” “agent[ial],” “open,” and “fearless.” Inasmuch as “militancy,” “articulation,” “social[ity],” and “productiv[ity]” address themselves to futurity, they reiterate the natalism that Woubshet in agreement with Edelman deemed unsalvageable. Indeed, Edelman himself is perhaps most helpful in diagnosing the forms of complicity I’ve attributed to Woubshet. In a 2006 piece, he cautions us against the trap of “affirm[ing] an angry, uncivil ‘politics of negativity’” (“The Antisocial Thesis in Queer Theory” 821). Insofar as such negativity is “affirmed,” it becomes “little more than Oedipal kitsch,” performing the sentimental and “fundamentalist […] attachment to ‘sense, mastery, and meaning,’” and thereby striking “the pose of negativity while evacuating its force” (822). True negativity, meanwhile, refuses what Adorno calls the “all subjugating identity principle” (Negative Dialectics 320). In his attempt to depathologize queer melancholy, Woubshet pays homage to negativity, spurning the identification between melancholy and pathology. But in framing that melancholy as “militant,” “productive,” “social,” “articulate,” “open,” “fearless,” and certainly “agent[ial],” his negativity is outed as an identity principle in drag. This complicity also lends support to Jasbir Puar’s recent critique of affect theory (“Prognosis Time: Toward a Geopolitics of Affect, Debility, and Capacity”). For her the latter, in attempting to conceptualize a register of energies and forces uncapturable by a form of governmentality dependent on the capitalization of intellectual and emotional labor, unwittingly finds itself attributing to affect a set of optimistic, buoyant characteristics that are themselves of a piece with the imperatives of productivity and ablement central to late capital in the first place (“Prognosis Time”). While Woubshet’s methodology has no stake in affect, the optimism inherent in his characterizations of melancholic grief and its creative expression—even his exclusionary attention to only those who have taken it upon themselves to create—instantiates the ideological double-bind of Puar’s affect theorists. Of course, a productivity that is cyclical and endlessly iterative would be recuperable where one that is teleological would not. And his investment in the trope of the calendar, which evokes a form of articulation that repeats—despite its “militan[cy]”—in stasis, suggests that this is version of productivity Woubshet has in mind. So his flirtation with productivity is potentially aesthetic rather than ideological. Whatever the case may be, The Calendar of Loss remains a rich and urgently needed contribution. 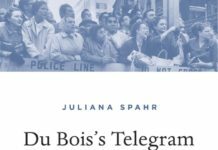 When the legacy of AIDS is being submerged, not only by the rhetoric of gay liberalism, but by a generation of queer theorists who have turned their attentions elsewhere, efforts like Woubshet’s to “speak again” its history and “reanimate lives that demand remembering” cannot go unnoticed (xi). Travis Alexander is a Mellon Graduate Fellow at The University of North Carolina, Chapel Hill. Though broadly interested in Post-45 literature and visual art, his specific interests cluster around portrayals of the HIV/AIDS epidemic in film, literature, television, and cultural theory between the 1980s and 1990s. Website: http://englishcomplit.unc.edu/people/travis-alexander. Adorno, Theodor. Negative Dialectics. Trans. E.B. Ashton. New York: Continuum, 1994. Edelman, Lee with Robert L. Caserio, Judith Halberstam, José Esteban Muñoz, and Tim Dean. “The Antisocial Thesis in Queer Theory.” PMLA 121.3 (2006): 819 – 828. Puar, Jasbir. “Prognosis Time: Toward a Geopolitics of Affect, Debility, and Capacity.” Women & Performance: A Journal of Feminist Theory 19.2 (2009): 161 – 172. Woubshet, Dagmawi. 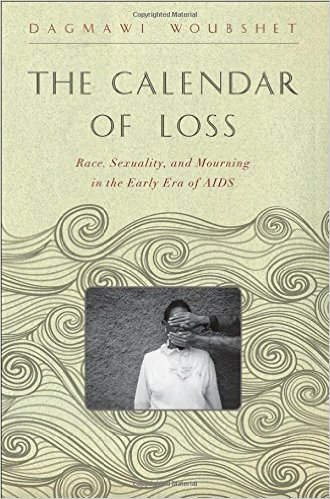 The Calendar of Loss: Race, Sexuality, and Mourning in the Early Era of AIDS. Baltimore: The Johns Hopkins University Press, 2015.